Need Quick Cash? We Have It For You! Why go through the long tedious process to borrow money from a bank and put up collateral while risking your credit? Come and get a loan from us at Pelican Pawn where the only thing you risk is the property you leave with us. That’s not the only incentive we offer when you borrow money from us, we can get you out the door in minutes with the money you need. 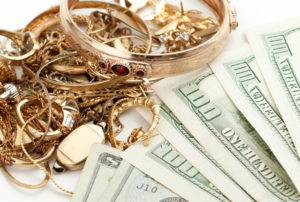 Any loan over $1000 for jewelry and other items that are easily stored will include a reduced interest rate! Come and get a quote from us today and get the cash you need quick.